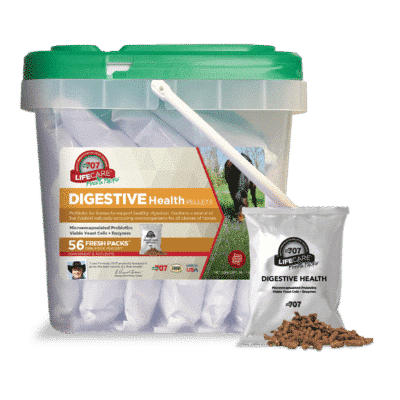 Promote healthy digestive systems with prebiotics, probiotics and enzymes. 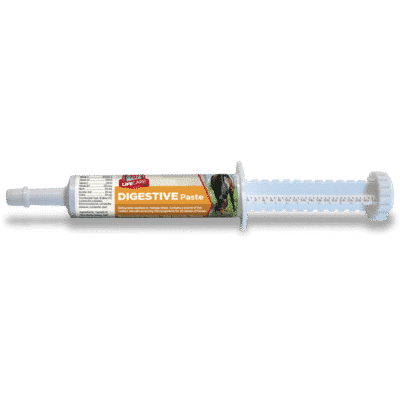 COMPLETE digestive support to combat stress, antibiotics, illness, and injuries that can compromise healthy gut bacteria. Microencapsulated probiotics help with digestion – and don’t need refrigeration! 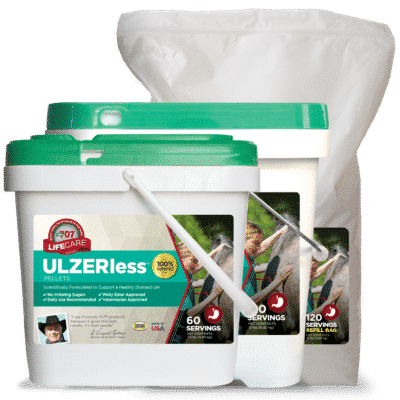 Digestive enzymes help break down roughage. 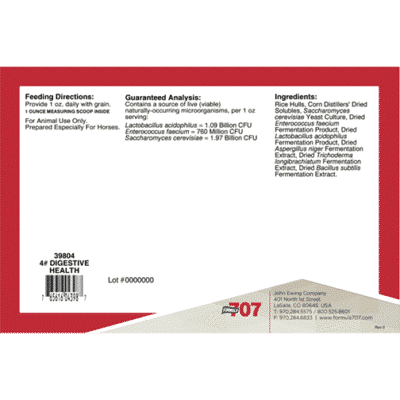 Formula 707 Digestive Health provides COMPLETE digestive support to combat stress, antibiotics, illness and injuries that can compromise healthy gut bacteria. Microencapsulated probiotics and prebiotics help re-flourish bacteria to ensure healthy digestion. 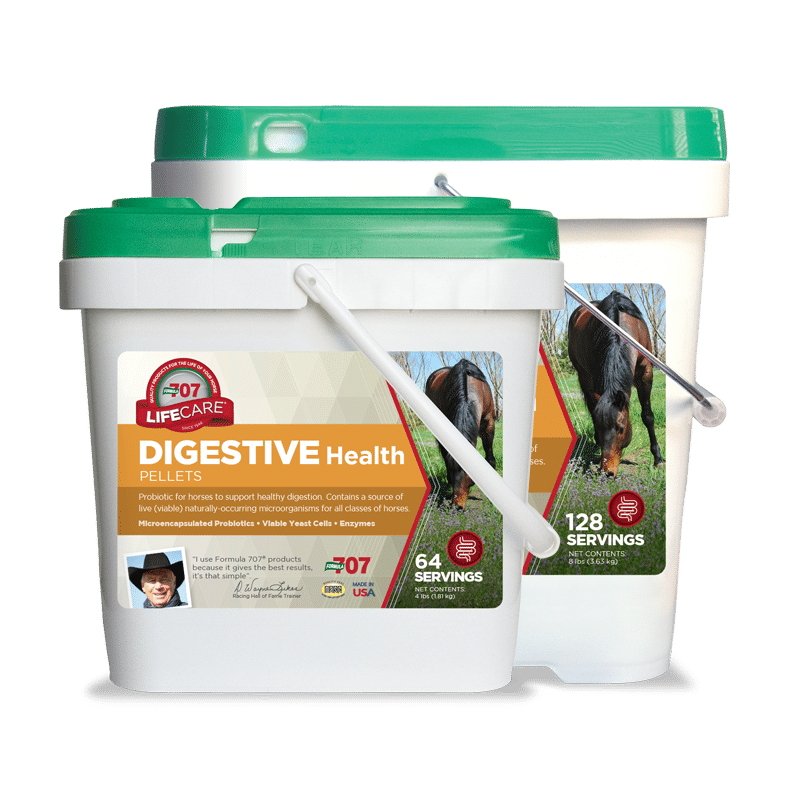 Formula 707 Digestive Health is superior to other equine probiotics because it has a larger colony count per serving, microencapsulated bacteria for easier absorption, viable yeast cells and supplemental enzymes. Digestive Health has proven beneficial during transitional periods such as: a change in feed or housing; before, during and after transportation; and during gestation and weaning.